After months of speculation, NetherRealm Studios will port Mortal Kombat: Komplete Edition to PC and will be released in July. If you don’t already about the ninth entry into the MK franchise, Mortal Kombat (2011) has won numerous awards including Fighting Game of the Year. The Komplete Edition will include all of the character DLC, classic costumes, and pre-order bonuses. Unlike the console versions it looks like this version will not include the soundtrack and the first Mortal Kombat film. While the game will be available to download in July 3rd, it will not hit retail shelves until August 2nd. Below is a press release. Follow DMK on Twitter and Facebook! LONDON UK. – 22nd May, 2013 – Experience the legendary adrenaline pumping action as Warner Bros. Interactive Entertainment today announces Mortal Kombat Komplete Edition for PC. 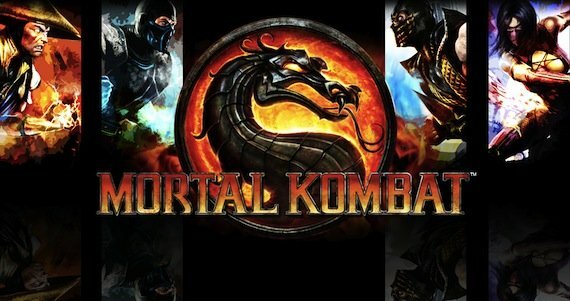 Windows PC players can now face-off with Mortal Kombat Komplete Edition, named the Fighting Game of the Year by Spike TV at the 2011 Video Game Awards. Players enter the realm to face the Kombatants in Mortal Kombat Komplete Edition for PC , delivering all of the downloadable content (DLC), including intrepid warriors Skarlet, Kenshi and Rain, as well as the notorious dream stalker Freddy Krueger. Additionally, the game offers 15 Klassic Mortal Kombat Skins and three Klassic Fatalities (Scorpion, Sub-Zero and Reptile). Originally developed by NetherRealm Studios, led by Mortal Kombat co-creator and creative director Ed Boon and adapted for PC by High Voltage Software, the game will be available for digital distribution on 3rd July, while the physical edition will release on 2nd August for Windows PC. Mortal Kombat Komplete Edition © 2013 Warner Bros. Entertainment Inc. Developed by NeatherRealm. All other trademarks and copyrights are the property of their respective owners. All rights reserved. Mortal Kombat, NetherRealm Studios and all related characters and elements are trademarks of and © Warner Bros. Entertainment Inc.
Mortal Kombat: Komplete Edition coming to PC? Mortal Kombat fans have been wondering when or if NetherRealm Studios would bring the 2011 Fighting Game of the Year to PC. There are rumors going around that Mortal Kombat might come to PC despite Ed Boon stating that it would be highly unlikely. Aside from Amazon taking pre-orders for the game, Steam also has the title in their database. The Komplete Edition includes all of the DLC that was released along with the character theme soundtrack and a voucher to download the 1995 movie. Follow DMK as we’ll have more news on this and much more! MK9 Koming to Aus – Legally! Warner Bros. Interactive Entertainment Australia has announced that Mortal Kombat Komplete Edition, recently classified R18+ for “High impact violence, blood and gore” under the newly introduced adults-only classification category for video games, will be available in Australian stores on May 1. The game will be available for PS3 and Xbox 360 and both versions will be priced at AUD$39.95. Mortal Kombat Komplete Edition includes the original game itself plus all previously released downloadable content. Mortal Kombat was originally refused classification in February 2011 before the classification laws were revised. While many Aussie MK fans may have already ‘acquired’ the game, this marks the first time it is legally on sale. As an Aussie gamer myself, I’ll borrow a quote from Tychus Findlay of Starcraft fame and simply say : Hell, it’s about time! 2011’s Fighting Game of the Year is back on Playstation Vita. The game includes all content from the console versions plus new exclusive features such as extra classic costumes, a second Challenge Tower which will reward players with an even bigger reward, and so much more! Be sure to pick up your copy today! Below is an official press release from Warner Bros.
Burbank, Calif. – May 1, 2012 – Warner Bros. Interactive Entertainment and NetherRealm Studios announced today the exclusive release of Mortal Kombat for the PlayStation®Vita handheld system in North America. Making its debut on the new handheld device, the acclaimed fighting franchise delivers lethal action to gamers on-the-go, priced at $39.99.